In this, our twenty-second issue, we continue with the theme we introduced back in Vol. III No. 2, Gurdjieff’s first generation of pupils. In this issue we expand our coverage to include other pupils of this first generation. Those who have written for this issue—the pupils of this first generation—describe their teachers with candor and deep affection. Only the printed copy of this issue is currently available. A conservatory trained pianist and student of Dalcroze, Jeanne de Salzmann (1889–1990) met Gurdjieff in 1919 and was his closest pupil until his death. She went on to lead and support the Gurdjieff Work in Paris, London, New York, and Caracas, with emphasis on the Movements. Born in Tiflis to a German family, Alexandre de Salzmann (1874–1934) along with his wife Jeanne, met Gurdjieff in Russia in 1916. Gurdjieff put to good use Alexandre’s talents in painting, lighting, staging, and interior design during the years that followed in France. Sophie Ouspensky (1878–1961) met Gurdjieff in Russia in 1913 and married P.D. Ouspensky in 1917. She led the work at Franklin Farms and was instrumental, along with Mme. de Salzmann, in bringing together the pupils of Ouspensky and Gurdjieff during the 1950s. After having studied with Dalcroze and served as choreographer for the Paris Opera, Jessmin Howarth (1893–1984) met Gurdjieff in 1922 and accompanied him to New York for the 1924 Movements demonstration. She then oversaw the Movements in New York for many years. Born in the Principality of Montenegro, Olgivanna Lloyd Wright (1898–1985) met Gurdjieff in the early 1920s. She moved to Chicago in 1924 where she met and married Frank Lloyd Wright. In 1932, they established the Taliesin Fellowship which Olgivanna directed after Frank’s death. A dancer who lived in Chicago, Diana Faidy (1899–1983) met Gurdjieff when he visited the Chicago group in the 1930s. After Gurdjieff’s death, she became the pupil of Olgivanna Lloyd Wright. She wrote this account of Frank Lloyd Wright’s dinner with Gurdjieff. The daughter of Mme. de Salzmann, Nathalie de Salzmann (1919–2007) married Jacques Etievan and moved with him to Caracas Venezuela where she founded the Caracas group and raised their children. There she held many “Fifteen Days” work periods and established a school. Born in France, Jacques Etievan (1920–1973), was the notetaker for the 1943 Paris Meetings with Gurdjieff. He then moved to Caracas, Venezuela where he headed up a large advertising firm. He married Nathalie de Salzmann and was a strong support for the formation of the group in Caracas. Born in France, Annette Herter moved to New York in 1924. In 1939 she founded “The American Conservatory of Music, Drama and Dance” which performed Varese’s Chorus at the World’s Fair. After meeting Gurdjieff, she played for the Movements in New York and at Franklin Farms. Three reminiscences of working in Movements classes led by Alfred Etievant (1918–1967). 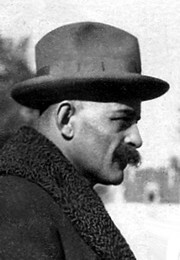 He met Gurdjieff during the German Occupation of Paris and, after the war, Gurdjieff sent him to London and New York to work with the Movements. Alfred then moved full-time to New York. Along with her husband Willem Nyland, Ilonka Karasz (1896–1981) met Mr. Gurdjieff in New York in 1924. They were group leaders at the New York Foundation. Ilonka was an accomplished designer and artist. One of her many accomplishments was creating 186 covers for The New Yorker Magazine. Irmis Popoff (1900–1984) worked with P. D. Ouspensky and met Mr. Gurdjieff after Ouspensky’s death. She later worked with Mme. Ouspensky, Willem Nyland, and John Pentland. She led a large group at Pinnacle House in Sea Cliff, NY until her death in 1984. Margaret Flinsch (1907–2010) met Mr. Gurdjieff in 1926 and spent time at the Prieuré. As a founding member of the New York Gurdjieff Foundation, she led groups, established the children’s work, and managed the archives. She founded the Blue Rock School in 1982. A British citizen, Cynthia Pearce (1900–1977) met Mr. Gurdjieff in Paris. She was an active member of the New York Gurdjieff Foundation where she organized the library and headed a group in traditional studies. She initiated the Gurdjieff Work in Philadelphia in 1967. Tom Forman (1910–2001) met P. D. Ouspensky in his native England and followed him to the United States, where he met Mr. Gurdjieff. He was responsible for the preservation of the Gurdjieff / de Hartmann music, and led groups in New York, Philadelphia, and Cleveland. Born in Lyon, France, Paul Reynard (1927–2005) met Mr. Gurdjieff in 1946. After moving to New York in 1968, he carried responsibility for the Movements in the US and Canada. He also served as Co-President of the Gurdjieff Foundation of New York.